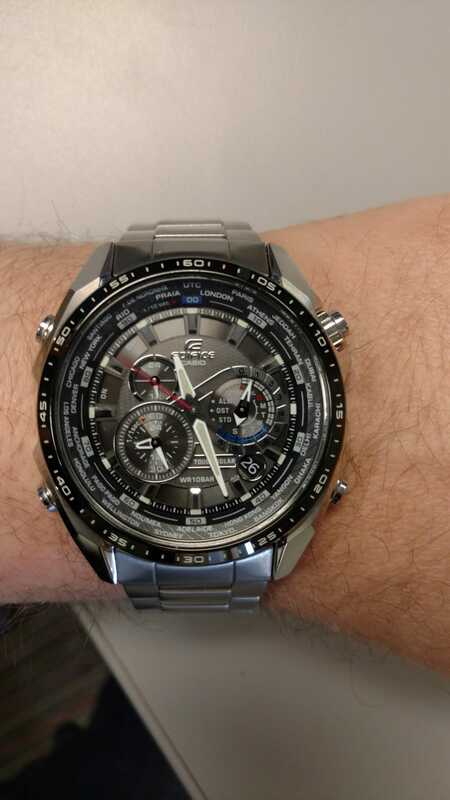 Today I have on my solar powered Casio Edifice EQS-500. I just love how this things looks. To some, it may be a bit too busy, but this watch is just cool to me. For what all it does, I think it was a great bargain at under $150 when I purchased it a few years ago. So what does Oppo have on today?